While the kids play hockey outside with sticks and a puck , I play inside with sticks and a POC !! 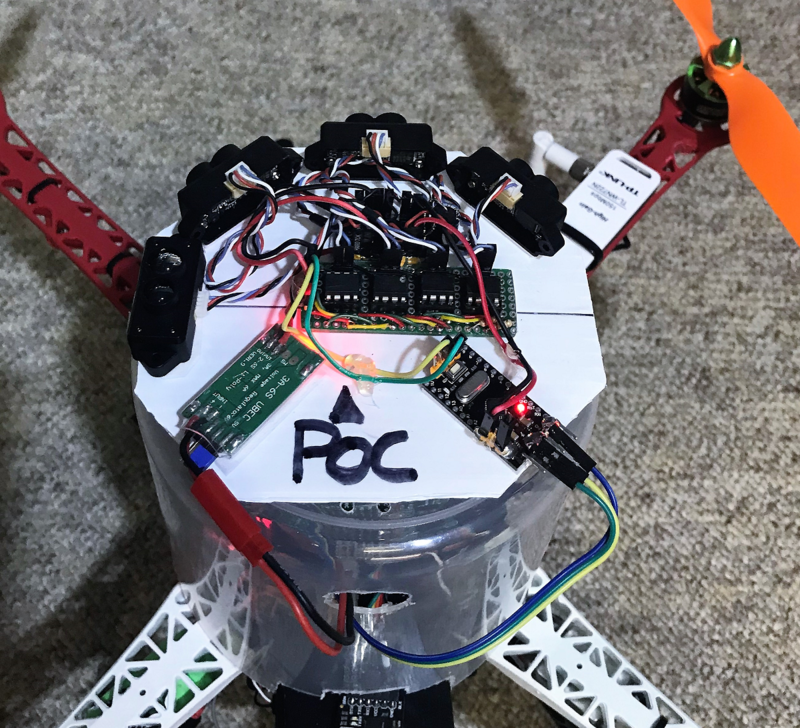 And I designed The POC : Proximity Obstacle Collision avoidance system based on an Arduino Pro Mini and VL50LX0 TOF rangefinders. This unit works pretty well, the only drawback is that it is shortsighted. This inexpensive Laser device is limited to a range of 1,7 Meter and it makes it hard to implement a fully functional Avoidance System. TFMINI are Serial devices and its quite difficult to multiplex serial without buffering. I did some test with a Teensy 3.5 that offers 6 serial ports, but without handshake (hardware or software) its is quite difficult to have a stable unit, that can work in a variety of configuration and speeds (baudrate). Avoidance System using the Benewake TFMINI. Contribute to patrickpoirier51/TFMINI-POC development by creating an account on GitHub. On Mission Planner you set Proximity and Avoidance (as per Avoidnce wiki above) and you can set the avoidance enabling using a transmitter switch, I used ch7 = 40 for Object Avoidance. 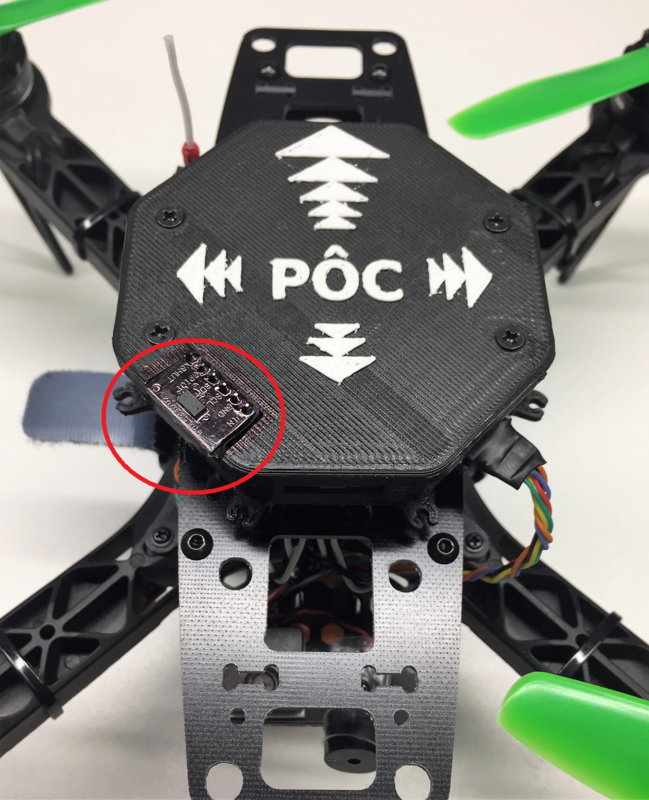 How it is done to send DISTANCE_SENSOR message to ardupilot? thanks. one interesting and useful article. Hello, good work ! , what is the electronic card or chip used to convert signal sensor uart to i2c ? As written in the text , I am using Attiny85 and if you look at the 3rd picture, you can see the 4 DIP chips mounted in row. With the Use of Attiny85 we can read the serial flow @ 115200 and do all sorts of signal manipulation and store results in registers, ready to be consumed by the I2C bus. Hi, Does it work only Alt Hold mode? Can it use with px4flow and still have avoidance system in loiter mode? Hello, yes you can fly in loiter using opticalflow. @ppoirier Thanks for the work done on the TFMini! I was an early buyer and ran into trouble until I followed your posts. Given lack of documentation, I have been pilfering through code and discussion for better understanding. I really want to try and get examples of the TFMini POC and the VL53 up and running. I have most of what I need except the ATTinys’. It appears you are using pins 2 and 3 on the ATTiny for RX and TX, and pins 7 and 5 for SCL and SDA to the ProMini, correct? For the most part, everything else looks pretty clear. As for the VL53L0X setup, I don’t know where else to post questions to. If there is a dedicated thread for it please point where for any future questions. I read through whatever documentation I could find on how you set this up, but I am left with a couple of questions. Is the setup running on two different arduino boards, Mega for Mavlink distance messages and Mini for setting ID/addresses via xshunt pin? I see what appear to be .ino files for both. 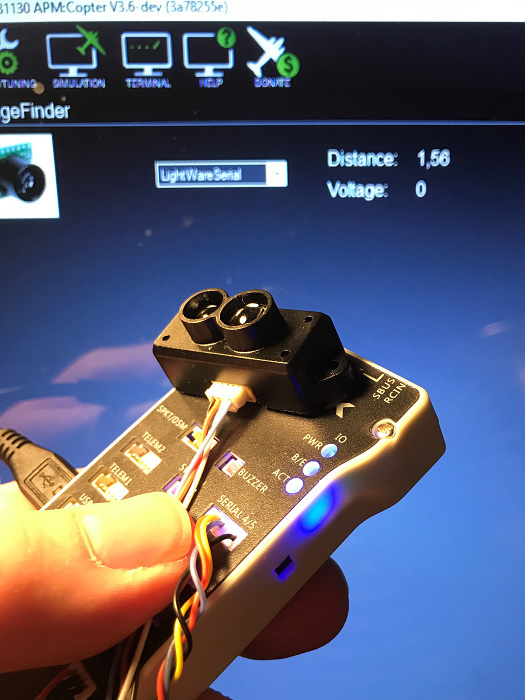 Is there a photo or diagram for your setup showing where each sensors xshunt pin corresponds to on the Mini? These are the only things I am really unclear on before attempting to set one up. I knew I was a bit rusty on Arduino IDE, but I had no idea. After updating the IDE, all my libraries and spending a couple of days reading through a myriad of discussions, I was finally able to compile basically everything in your repo for obstacle avoidance. If this goes into the wiki it could certainly use some further elaborating on in regards to the Mavlink libraries and header files for the novice programmer. 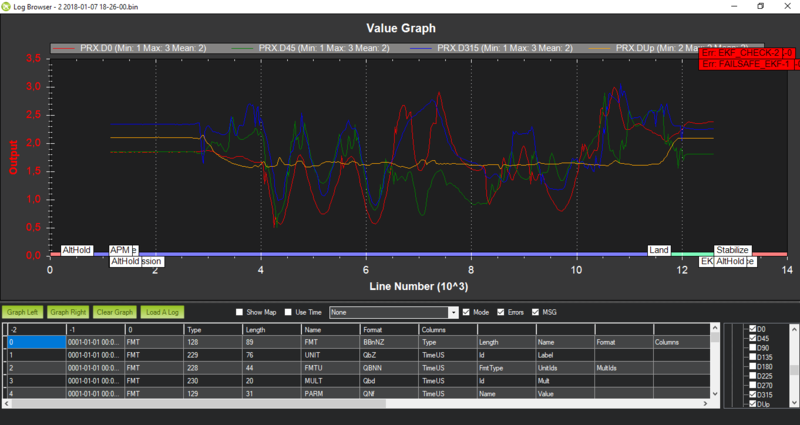 Once I get everything wired up and running I will post my results for anyone else who may be interested. Thanks for everything you have contributed on this so far! Sorry for my ignorance, but I still don’t know how to I have to do it to connect my sonars Maxbotix I2CXL EZ4 to the Pixhawk (collision avoidance system). Should I connect them to an arduino board and use your code TFMINI_I2C_Mavlink to send the DISTANCE_SENSOR message to the pixhawk? But then how I connect the arduino to the Pixhawk? Again, sorry for my ignorance, I am quite new in this world. Thank you so much for your time. 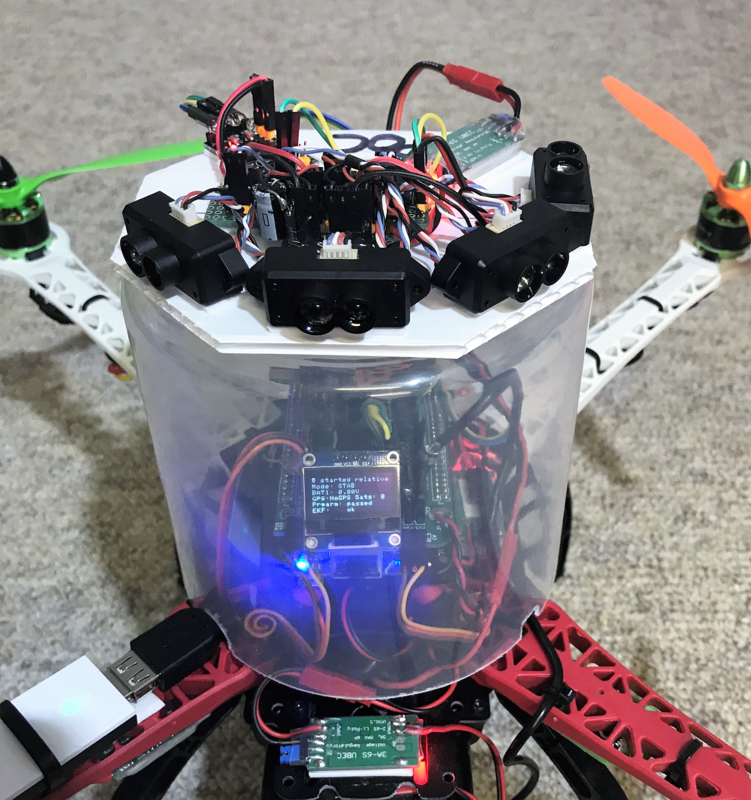 I am trying to do a similar project but instead of the TFMINI I am using Maxbotix I2CXL sonars and instead of an Arduino Mini Pro I am using an Arduino UNO. Once the Arduino UNO is ready to send the Mavlink DISTANCE_SENSOR message, how should I connect it to the Pixhawk? Thanks a lot again, you are helping me alot. But I still have not clear which would be the “wire diagram”. Which “pin out” of the Arduino should connect the Serial port of the Pixhawk? Thank you for sharing your beautiful POC. Before building mine, i have a question about the baudrate in the Attiny sketch : if I understand TFMini connect to Attiny85 by serial with bRate = 115200. But in the sketch (line 60) mySerial.begin(9600). Should I change to 115200? Yes you can change the speed to 115200. Oh I see. I’m waiting for my 5 TFMINI ordered yesterday.